1. St. Clement, Lansdowne. Dec. 4, 6:30 p.m. Eight days before the feast day, a torch passed in a relay from the Basilica of Our Lady of Guadalupe to New York City will arrive for a short stay at St. Clement in Lansdowne. The reception includes a procession and Mass. 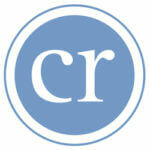 The relay, Carrera Antorcha Guadalupana Mexico-New York, began Sept. 21 and will end Dec. 12. According to organizers, the run “brings together two nations and thousands of families divided by the border and advocate for the rights of immigrants.” St. Clement will also celebrate the feast day with Mass Dec. 12 at 6 p.m.
2. St. John the Evangelist, Frederick. Dec. 12, 6:30 p.m. procession and Marian hymns, 7 p.m. Mass. Archbishop William E. Lori will preside at Mass. 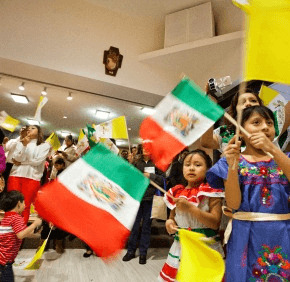 The liturgy will begin with children wearing traditional Latin American clothing, followed by a procession of flags representing at least 24 nationalities within the parish. A reception will follow with traditional Latin American finger foods such as empanadas, tamales and pupusas. 3. Sacred Heart of Jesus-Sagrado Corazon de Jesús, Highlandtown. Dec. 12. 7 p.m. procession, 7:30 p.m. Mass. Home to Baltimore’s largest Spanish-speaking Catholic community, Sagrado Corazon de Jesús will begin its celebration Dec. 11 with a 7:30 p.m. vigil Mass followed by a novena. The next day’s events start at 5 a.m. with Las Mañanitas, or serenades to Mary, followed by 6 a.m. Spanish Mass and breakfast. The evening liturgy features mariachi music, followed by a free dinner with traditional Latin American food in the parish hall.